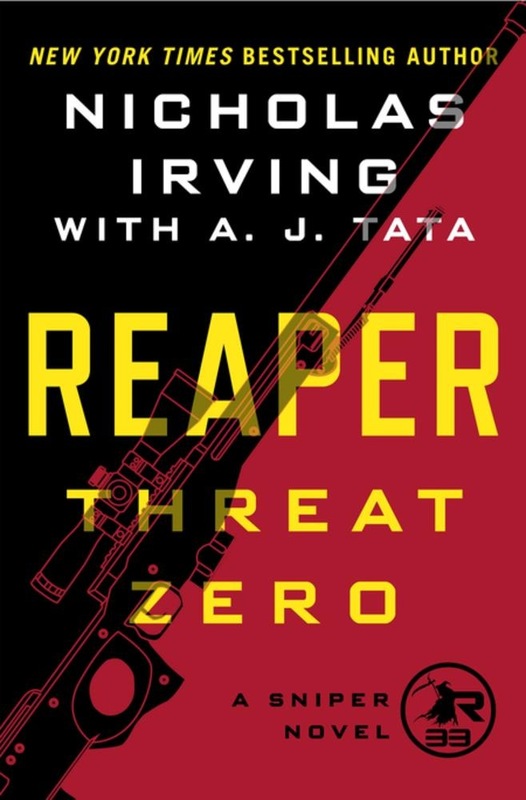 The next book in the explosive new thriller series by former special operations sniper and New York Times bestselling author of The Reaper. A convoy of cars carrying several family members of the President’s cabinet to Camp David for “Family Day” is ambushed, killing and wounding wives, husbands and children. Immediately in the aftermath, Vick Harwood watches a Facebook live feed of his former ranger buddy Sammie Samuelson’s apparent suicide and confession in his Thurmont, Maryland apartment, just one mile from Camp David. Remnants of a firefight are in the background: sniper rifle, rocket launchers, and ammunition. Simultaneously, an intruder breaks into Harwood’s house. Harwood arrives in Thurman to investigate the suicide and, with the help of attractive FBI agent Valerie Hinojosa, traces evidence left by Samuelson to a fiendish plot involving transnational terrorists and domestic political opponents. Meanwhile, the president wants retribution, and will stop at nothing to get it. Harwood joins Team Valid, whose mission is to kill the family members of terrorists and eliminate their seed from the earth. Team Valid, consisting of Hinojosa, Harwood, a Navy SEAL sniper, and a Marine Force Recon sniper, travels to Crimea, Iran, and Azerbaijan before realizing the mission is not what it seems. Harwood struggles to balance his orders with his sense of right and wrong—without losing his life in the process. As Samuelson is implicated in the Camp David ambush, it is a race to protect his remaining family and uncover the sinister plot in the homeland. 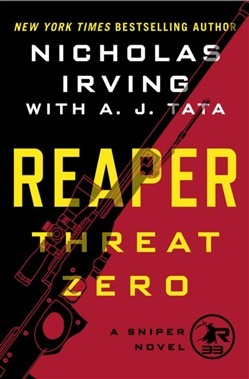 Acquista Reaper: Threat Zero in Epub: dopo aver letto l’ebook Reaper: Threat Zero di Nicholas Irving, A. J Tata ti invitiamo a lasciarci una Recensione qui sotto: sarà utile agli utenti che non abbiano ancora letto questo libro e che vogliano avere delle opinioni altrui. L’opinione su di un libro è molto soggettiva e per questo leggere eventuali recensioni negative non ci dovrà frenare dall’acquisto, anzi dovrà spingerci ad acquistare il libro in fretta per poter dire la nostra ed eventualmente smentire quanto commentato da altri, contribuendo ad arricchire più possibile i commenti e dare sempre più spunti di confronto al pubblico online.